Delbury Hall is probably the most beautiful and imposing Georgian mansion in Shropshire and an extremely friendly and relaxed family home. The house is surrounded by 80 acres of landscaped parkland and faces south across the water meadows towards Ludlow, 8 miles away. The old coach houses and stables have been renovated into a magnificent banqueting hall with seating for 130 people and a spacious mezzanine floor upstairs, where wedding ceremonies for up to 100 guests can take place. 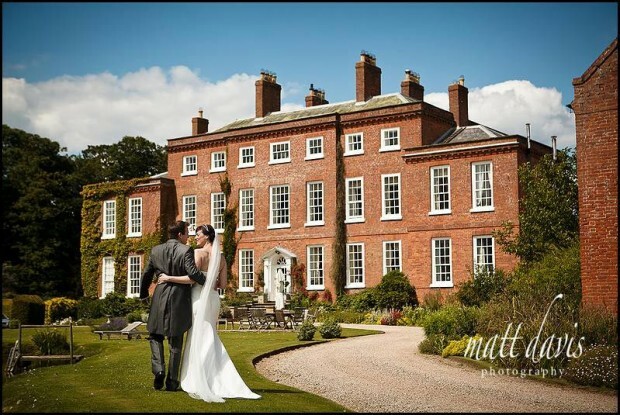 Delbury Hall is the perfect venue for a classic country house wedding. When I last photographed a wedding at Delbury Hall it was a fine summers day, and with weather like that, this venue shines! 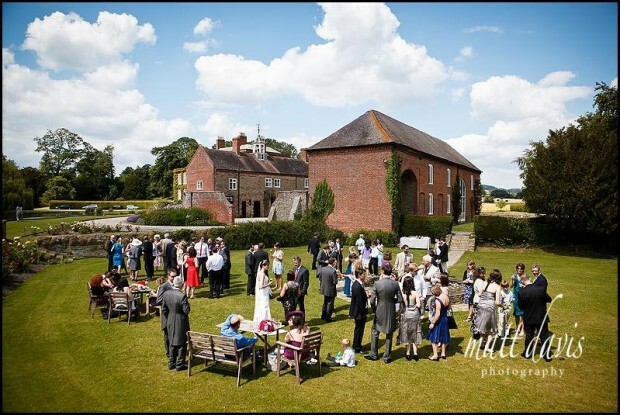 It’s got great outdoor space to enjoy your drinks reception, plenty of room for group shots, and the added facility of utilising the grounds around the house and pond for some couple shots, slightly away from your guests. Inside the venue is tastefully decorated/converted and caters comfortably for larger numbers of guests. On my last visit I was well looked after by the staff their (a benchmark not all venues live up to) and have subsequently been added to Delbury Hall’s recommended wedding suppliers list. You may like to see this wedding at Delbury Hall on my blog or read some wedding testimonials from previous my clients. If you are considering a wedding at Delbury Hall and would like me to photography your wedding then please get in touch.